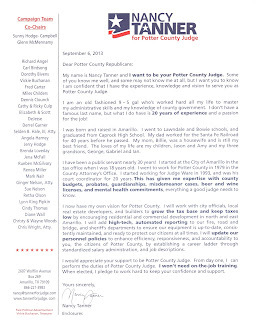 It looks like we'll have a real race for Potter County Judge. 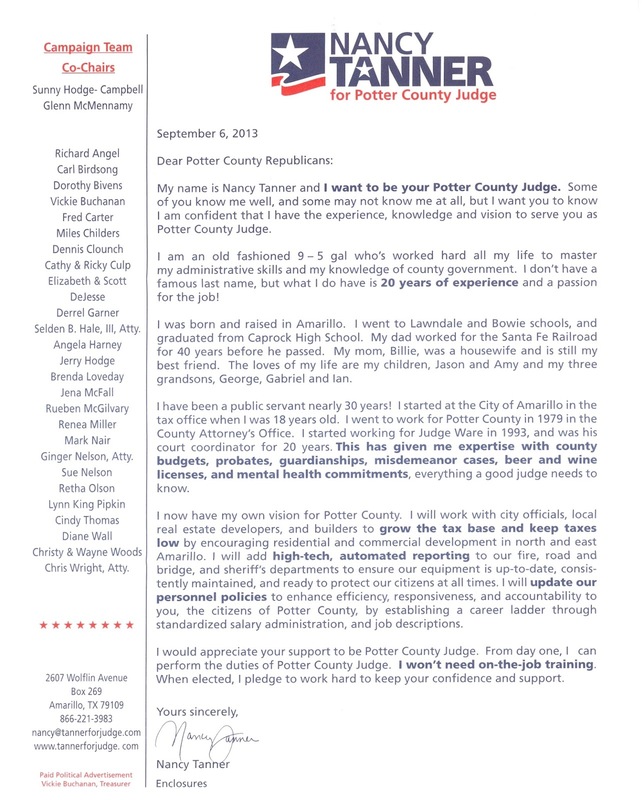 Nancy Tanner has made it official and Debra McCartt, Amarillo's former mayor, has said she is running. Here's Tanner's letter.